Last night, we went to the Fabulous Fox to see the Broadway musical, “School of Rock”. This show’s tickets were our deadline for our return to Saint Louis. The show is based upon the 2003 Jack Black comedy movie of the same name. 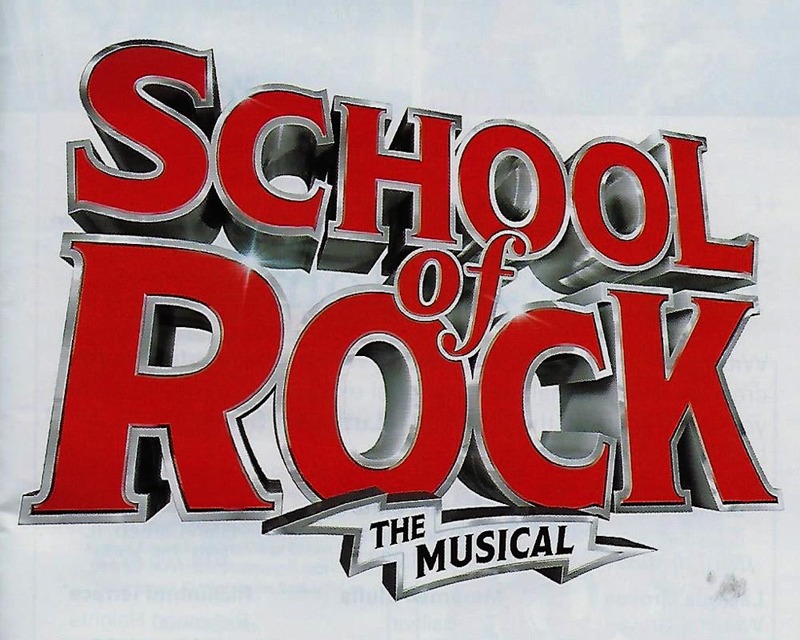 Music is by Andrew Lloyd Webber and the cast is evenly divided between adults and 5th-graders, with the central figure, Dewey, straddling both categories. Dewey is an out of work rock-wannabe, who in the opening scene is kicked out of the band that he created. Under pressure to come up with rent money (You must pay the rent! I can’t pay the rent. ), he takes up a substitute teaching position at preppy Horace Green Elementary, masquerading as his roommate, Mr. Schneebly. Discovering that these stuck-up kids actually have musical talent, Dewey decides to use them to win the upcoming battle of the bands competition. What could go wrong? The kids were delightful in their roles and enthralled their numerous young audience counterparts, especially when they called on everyone to “Stick it to the man!” It was announced before the show that the children actually play their own instruments. I’m going to have to look into this talent thing, it looks quite useful. Overall, the show was an enjoyable, light and fun fare. I was glad to see that Sir Webber is settling nicely into his second childhood. We found ourselves between a rock and a hard place, when this morning’s call came all too early. Anne received the call to arms. Kelly’s robo-call detailed her Early Childhood Center (ECC) assignment as “Eek!” Exactly. Before we left for Florida, I had repeatedly implored Anne not to take any jobs at ECC, also-know-as plague central and she heeded me. So, while in Florida, we survived alligators, poisonous snakes and Florida drivers, all without incurring any illnesses. While, we were away, Anne monitored the situation back at the elementary school, where at least some of the older students there seem capable of spelling the word hygiene. There was the late-start morning caused when too many of the bus drivers were sick with the flu, to man all the vehicles and there was that one plaintive plea for Kleenex from the office. We missed all that, but today Anne dove headfirst into an inevitably worse situation. I however found myself left to my own devices and it is such a beautiful day. I think that instead of sticking it to the man, I’ll go out and play. Rock-on! This entry was posted in Saint Louis, School, Theater by RegenAxe. Bookmark the permalink.